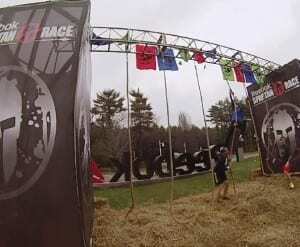 Spartan Race continues to innovate the world of obstacle course racing. Known for their Sprint, Super and Beast distance options, they recently unveiled their new “Olympic distance” of 1.5 miles in their preliminary steps to qualify as an Olympic sport in the future. The Spartan Race Invitational was recently held at the Reebok Headquarters in Canton, MA. The alliance between two of the giants in the fitness world culminated with the brand new obstacle course built right on the Reebok campus featuring an obstacle heavy race with many of the Spartan Race signature obstacles. The event, limited to only 800 athletes, was promoted as an invite only event. However, anyone willing to cough up $150 (plus insurance fees) could also participate. While it seemed like a cool event, I simply couldn't justify spending over $150 for a 1.5 mile race. Fortunately, through my connection with Mud Run Guide, I was able to secure a coveted invitation. Thank you Brett Stewart!! Parking/Location: Free parking was available to all racers and spectators at the Reebok campus garage, a short walk to the venue. 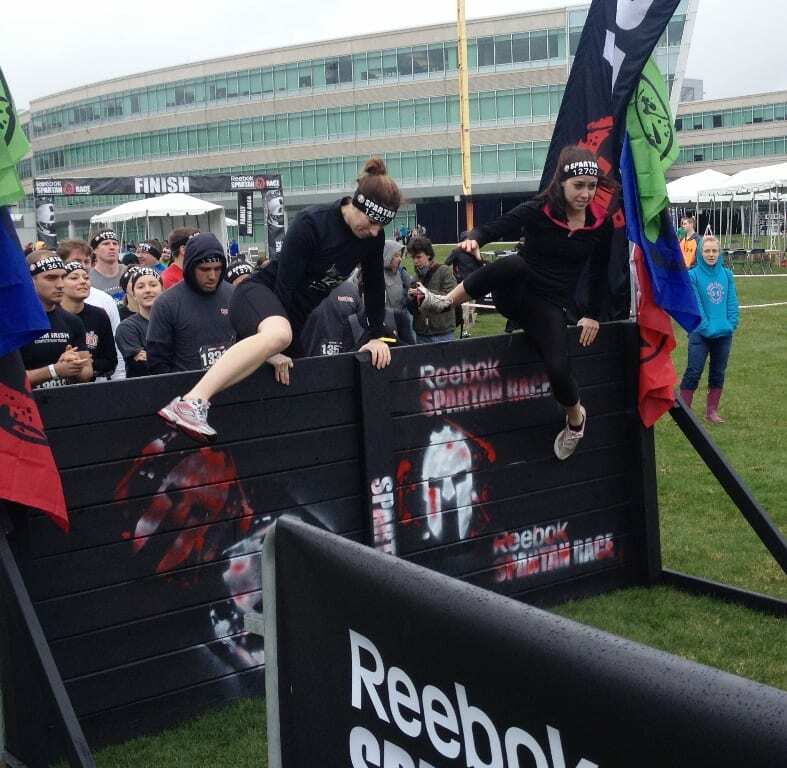 The race was held at the massive Reebok Headquarters. The campus boasts an indoor store, and indoor/outdoor track and other athletic fields. I arrived earlier enough to experience all that the complex had to offer. 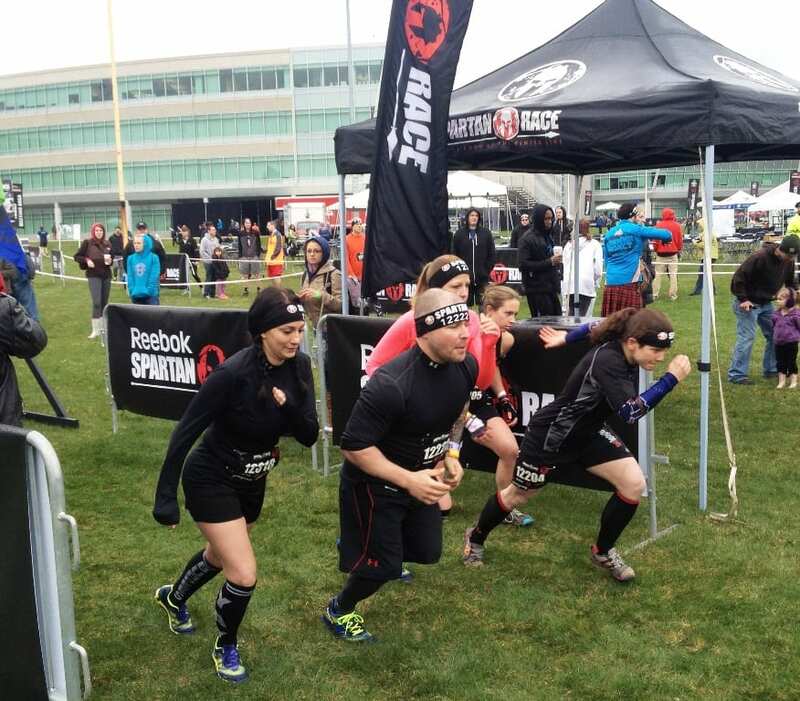 In addition to the Spartan Race, they were also hosting the Spring Cup, a grueling team Crossfit competition. Registration: The registration tables were located at the edge of the campus and were easy to locate. Simply hand over your waiver, type you name in the computer and receive your racing packet which included your bib, timing chip and headband. Course: Waves were released every 15 minutes. Racers arriving at the starting corral for their selected time, were greeted by a five foot wall. Every couple minutes, five runners leaped the wall and toed the starting line. Apparently this was done to alleviate any possible bottlenecks on the course. Unfortunately, the backups occurred before even stepping foot on the course! I was scheduled for the 10:00 wave, so I made my way over to the starting gate at 9:45. I assumed, with the relatively small amount of participants, that there wouldn't be an issue However, once arriving, the line was already massively long. I would estimate it took us about 45 minutes before were reached the starting line. Essentially, the wait was longer than the entire race. Since no one was checking wave times, I guess everyone just went when they wanted, probably multiple times. The relatively flat course encompassed the entire complex, from the baseball field and around the wooded areas surrounding the headquarters. The entire route was well marked with gates, colored Spartan flags, cones and caution tape. As with seemingly all Spartan races, the volunteers were encouraging and enthusiastic. After leaving the starting line, we encountered another five foot wall. We headed along the sidewalk and through the parking garage towards a few more six foot walls and on to the rope climb located at the entrance to the facility. We continued through a small wooded area and had to maneuver under, around and through the rope entwined around the trees. Next up was the sandbag carry through the parking lot, followed by the tire flip (three times out, three times back). 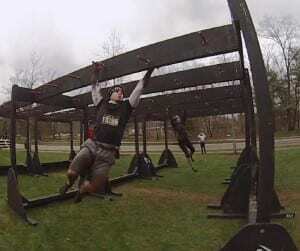 The course continued to a large open field with a gauntlet of classic Spartan obstacles. After a set of over-under-through walls, it was finally time to get dirty with a couple mud crawls under logs, leaving your hands covered in mud and slippery. 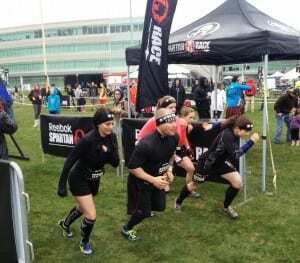 In typical Spartan Race fashion, the next few obstacles required strong grips, the Herculean hoist (no problem) and the wall traverse (hardest one yet – barely made it past the third peg) There goes my ongoing battle for a burpee-free race! options were healthier than usual, including options from B.Good and Paleo Power Meals. The family friendly event also had a kid's zone to keep the little ones entertained. Professional photographers were snapping photos throughout the event that they will be offering free of charge. Conclusion: Once again, Spartan Race proved why it remains the best in the business. From the spacious festival area to the obstacle rich course, they continue to improve and innovate. The partnership with Reebok will allow the race series to evolve and grow. The shorter distance is a nice addition to their other offerings. Great Event! 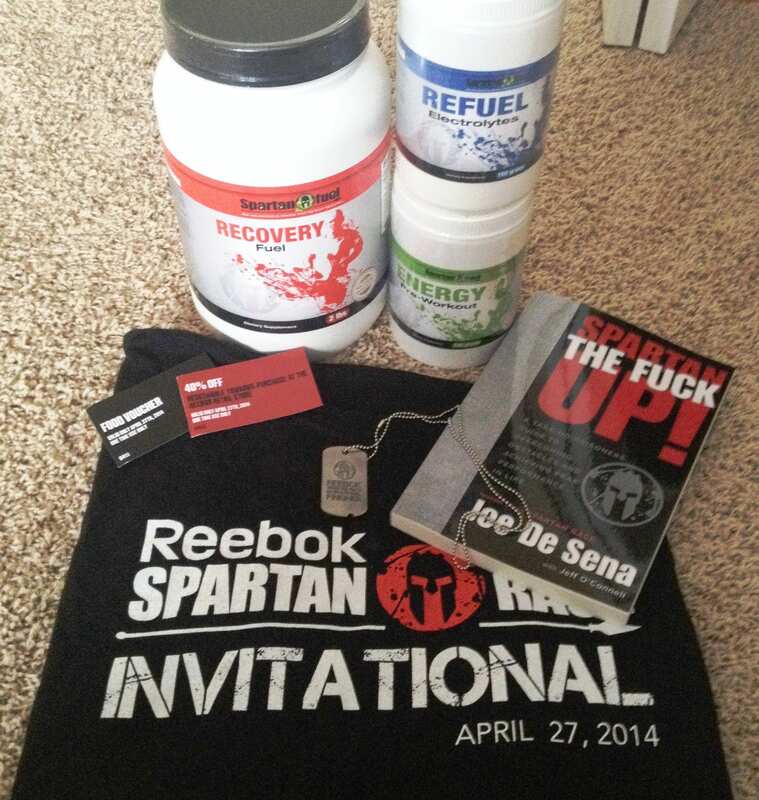 Did you do the Rebook Spartan Invitational? Share your own rating & review about the event today!